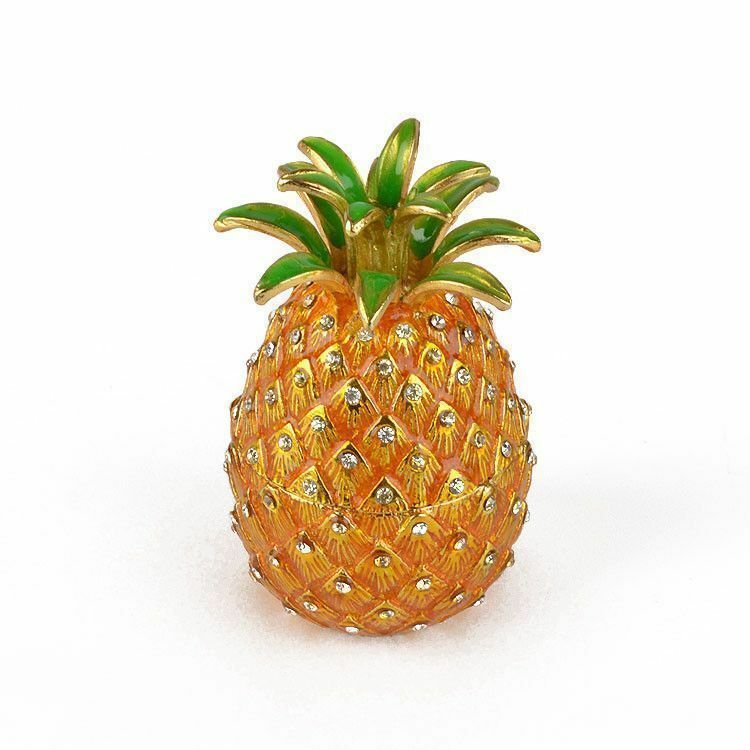 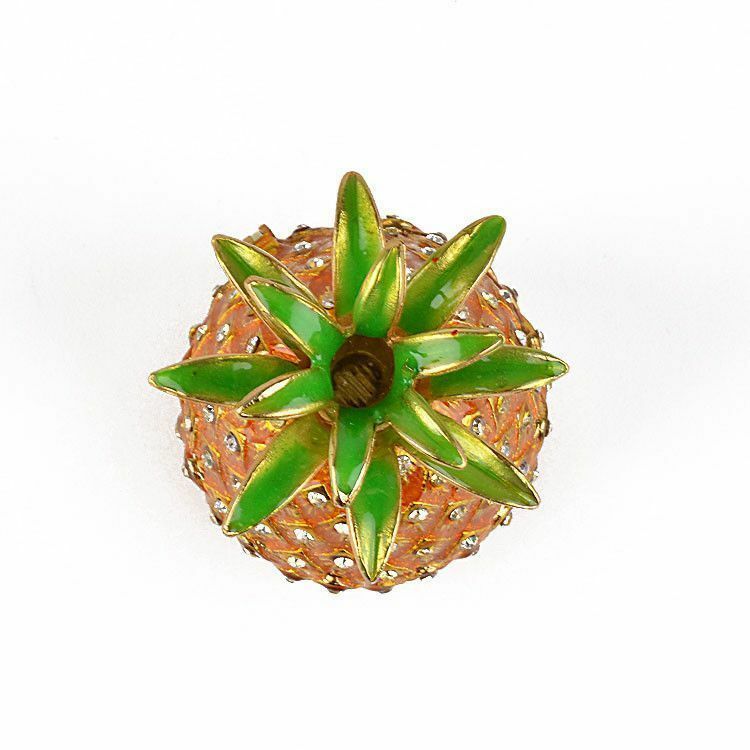 This pineapple trinket is about 3 3/4" tall and has a diameter of about 2" in size. 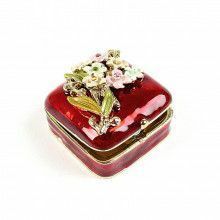 It opens up right at the middle, with enough space for a few small mementos. 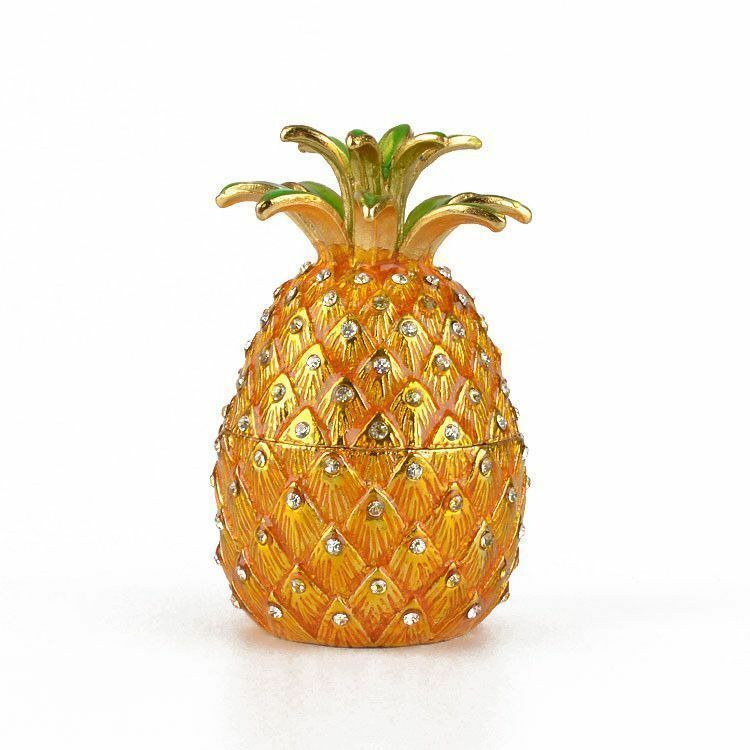 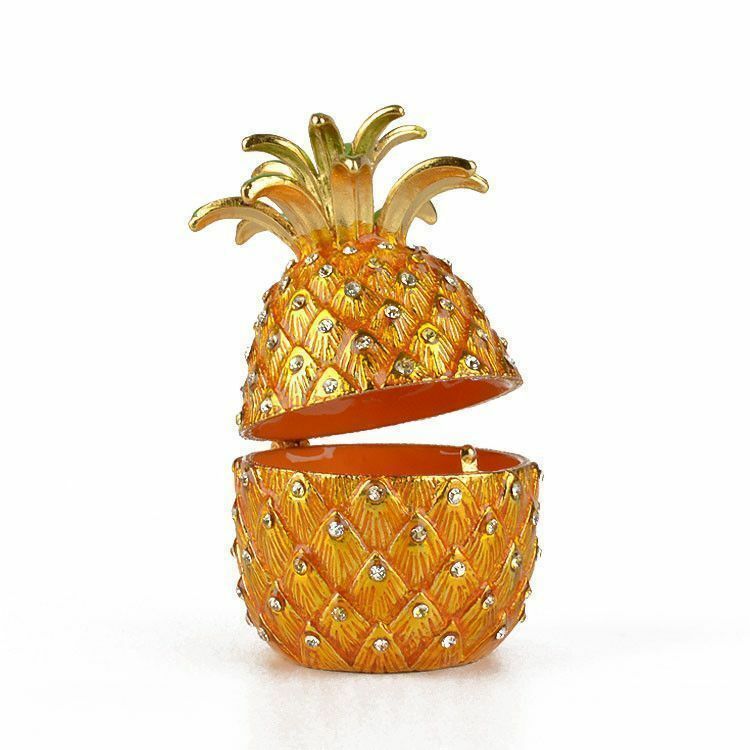 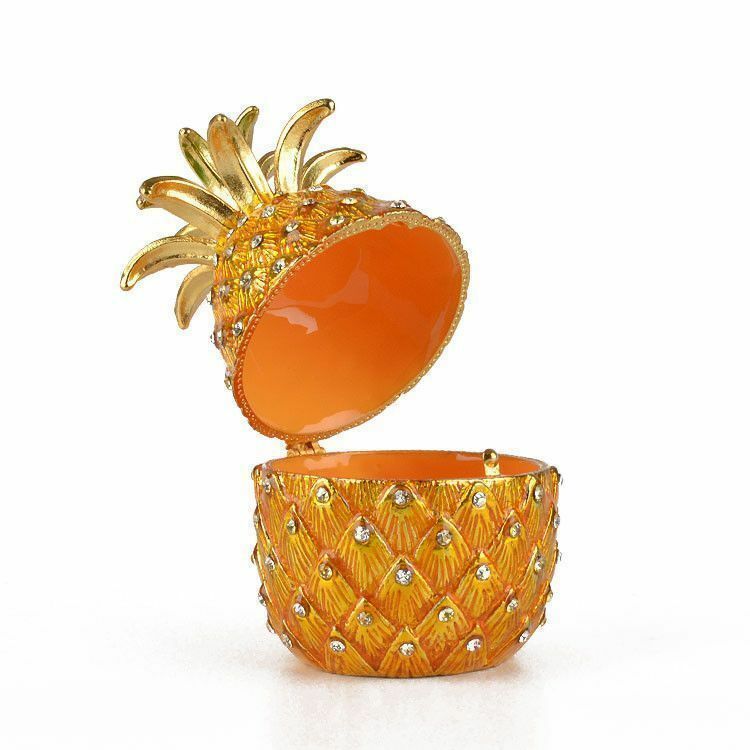 The pewter based pineapple is yellow and gold in hue and it is decorated with fairly large clear crystals. 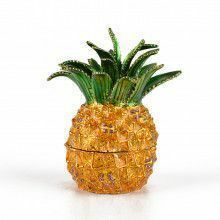 Cute trinket for the kitchen!